349 pages | 69 B/W Illus. The occurrence of failures and mistakes in health care, from primary care procedures to the complexities of the operating room, has become a hot-button issue with the general public and within the medical community. Around the Patient Bed: Human Factors and Safety in Health Care examines the problem and investigates the tools to improve health care quality and safety from a human factors engineering viewpoint—the applied scientific field engaged in the interaction between the human operator (functionary, worker), task requirements, the governing technical systems, and the characteristics of the work environment. The book presents a systematic human factors-based, proactive approach to the improvement of health care work and patient safety. The proposed approach delineates a more direct and powerful alternative to the contemporary dominant focus on error investigation and care providers' accountability. It demonstrates how significant improvements in the quality of care and enhancement of patient safety are contingent on a major shift from efforts and investments driven by a retroactive study of errors, incidents, and adverse events, to an emphasis on proactive human factors-driven intervention and the development of corresponding conceptual approaches and methods for its systematic implementation. 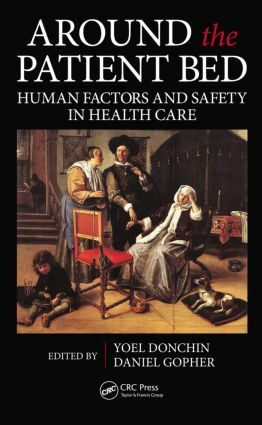 Edited by Yoel Donchin, representing the medical profession, and Daniel Gopher, from the human factors engineering field, the book brings together experts who have collaborated to present studies that reveal a wide range of problems and weaknesses of the contemporary health care system, which impair safety and quality and increase workload. The book presents practical solutions based on human factors engineering components and cognitive psychology, and explains their driving principles and methodologies. This approach provides tools to significantly reduce the number of errors, creates a safe environment, and improves the quality of health care.